Posted by Ken Briodagh & filed under IoT Evolution Expo, Big Data. Posted by Ken Briodagh & filed under Database, IIoT, Big Data. 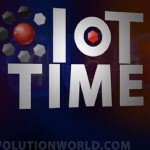 In this episode of the IoT Time Podcast, Ken Briodagh sits down Scott Schwalbe, CEO, NimbeLink.